Availability: Usually ships in 4-6 weeks. 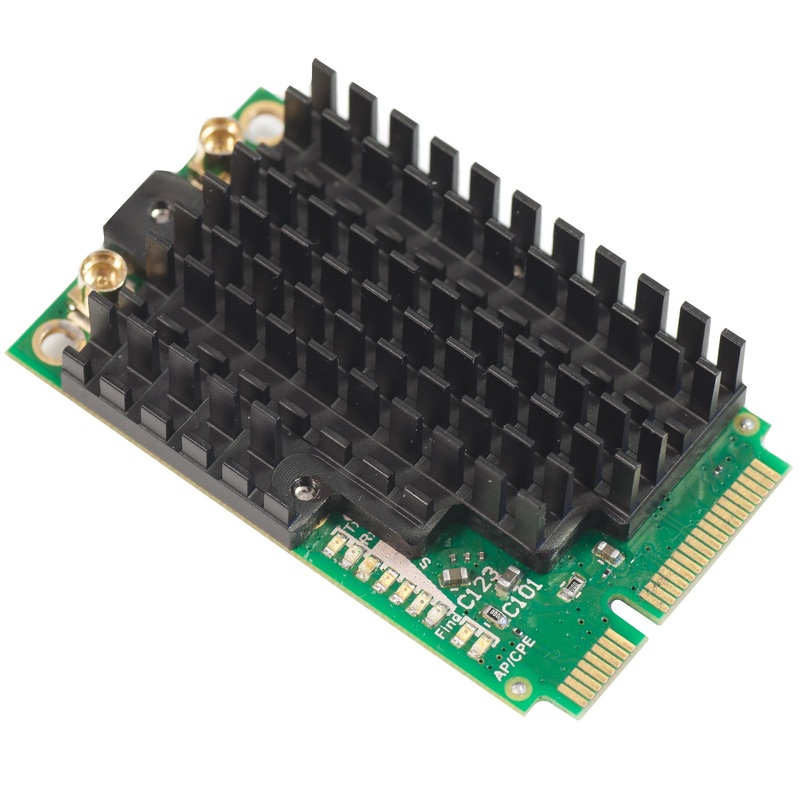 High power 4920-5920MHz 802.11a/n dual chain wireless card in miniPCI-e format. Ideally suited for the new RB912 series, RB800 or our new miniPCIe adapter card - RB14e. The card features built-in LED indicators for wireless mode, connection status (connected, searching, disabled), TX and RX activity and wireless signal strength - just looking at the card will help with installation and alignment. Copyright © 2018 Microcom Technologies, Inc. All rights reserved.